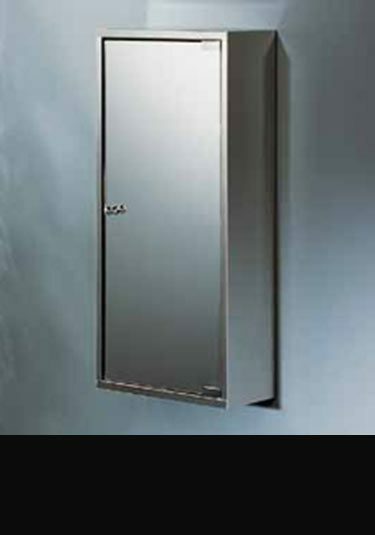 A single door bathroom mirror wall cabinet in stainless steel. Each wall cabinet has a wooden inner frame for a solid quality construction and the single door has a double sided mirror with magnetic closure which can be mounted on the left or right. This stainless steel bathroom cabinet is supplied with 3 glass shelves that are height adjustable.